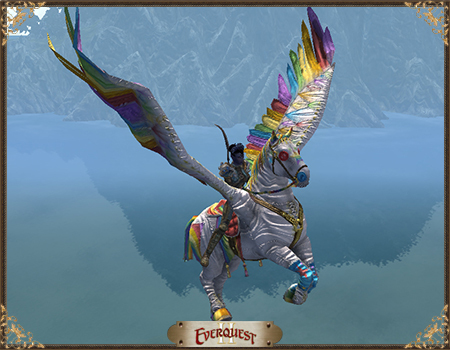 EQ2Wire » EverQuest II: The Race to Trakanon – Now Available! EverQuest II: The Race to Trakanon – Now Available! Norrathians, a new adventure is awaiting you on the first EverQuest II event server,Race to Trakanon, which is available NOW! This special server is available to members. Not a member yet? Visitwww.everquest2.com/membership to learn more about the benefits of membership, including access to special servers like this one! Check out the Race to Trakanon Updated Frequently Asked Questions page. Check out our EQ2U Race to Trakanon Leaderboards page! WARNING: Use of boxing and botting software is expressly forbidden on the Race to Trakanon server. Players logging in with this software running — even in the background — are receiving a 1 day ban and the character used to login is being deleted. 1 day ban. Closing the barn door after the horses, cows, pigs, dogs, mice, and fleas have all left the barn. Having your character deleted along with the 1 day ban is not a minor punishment, especially in the middle of a race for content. The deletion part wasn’t there when I saw it. Still, known cheating should be perma-ban. Having Innerspace installed and running in the background is enough to get a ban. Ban should be for a month, minimum. If it cost them a kroon up front, you’d see the cheating stop dern quick. Illegal snooping into my computer’s processes…I love Big Brother!